Home » Switzerland medieval costumes. 15th century. The Count, Countess, the lawyer, the bourgeois, bourgeois and their son, Jew. 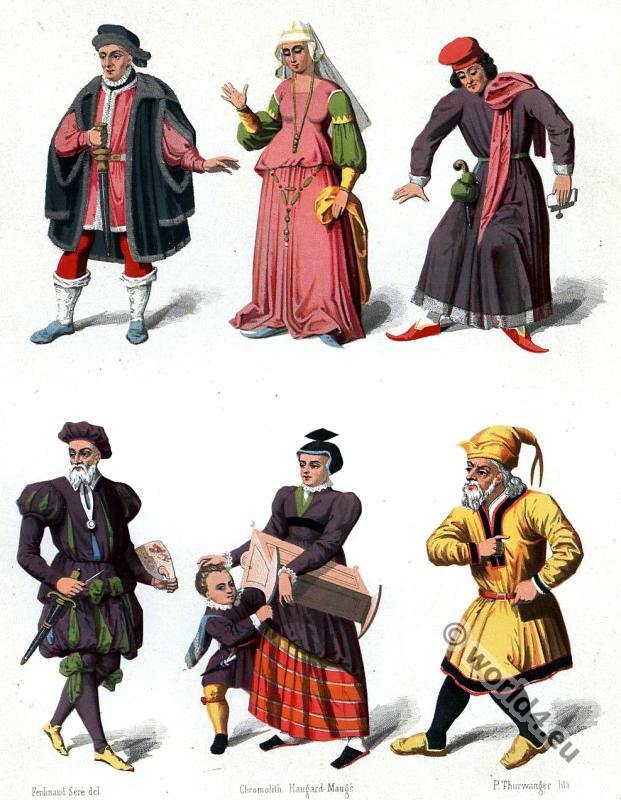 From the book: Les arts somptuaires: Histoire du costume et de l’ameublement et des arts et industries qui s’y rattachent. Paris: Hangard-Maugé, 1858. Author: Charles Louandre (1812-1882). This entry was posted in 15th Century, Middle Ages, Switzerland and tagged Gothic costumes, Medieval costume, Traditional Jewish Clothing on 1/11/15 by world4.